I've been having trouble getting into books lately so I asked the internet what I should read and the overall consensus was that I needed to read Rainbow Rowell's newest novel. I snagged the e-book when it was on sale so I decided that I would see what all the fuss was about. The idea of this novel was rather surprising to me because it's about fanfic, which, although I don't read personally several of my good friends do, so that was really fascinating for me that it was part of a novel. 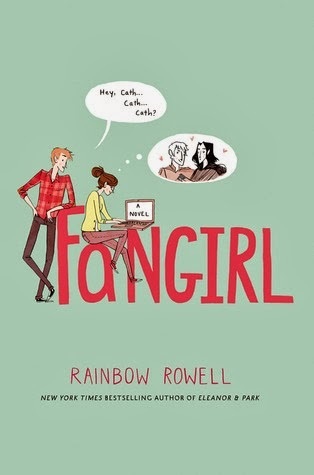 All over the internet I've heard pretty much nothing but good things about Rowell's YA novels, and so far I've only met one bookseller who wasn't a fan of Eleanor & Park so she has yet to read Fangirl, which is pretty amazing is you ask me. Personally I'm not a fan of fanfiction, I mean, it exists and I know that it does, and I have no problem with it, I just don't bother to read it, although the fact that Rowell made it such a big part of the novel was a brave choice. Maybe because of that reason I didn't find the novel as amazing as everyone else had been saying it was. Not that it wasn't good, it was. It was cute and funny and made me smile but it wasn't anything amazing when it came to writing or characters in my opinion. Yes, I applaud Rowell for doing something different and for writing a character who is insecure but not overly so, and that has an interesting life and real-life problems, but it just didn't hit a major chord with me like it seemed to with everyone else. Quite honestly the part I loved most about the book was the character development throughout the story, because that's what I think the major point was, Cath becoming more independent and grown up. I do hope that I will be able to get this book for a friend of my when Christmas rolls around because I think she might appreciate it a little more than me. Basically the boy is cute, the fanfic is interesting, and the characters are fun, but I wasn't blown out of the water. 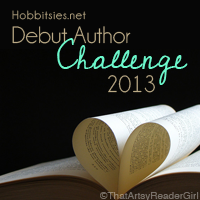 I will be reading Rowell's first YA novel some time soon-ish (I hope) because I have high hopes for that one as well. Fanfic fans will probably love this book, along with those of you who like realistic novels that are very much rooted in what I would have to say is modern culture. Bravo Rowell, you did something amazing with this book and I hope that you continue to push boundaries and play with words because you have a real talent.